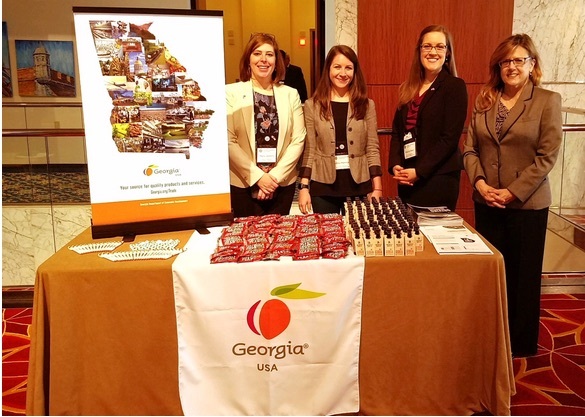 GDEcD’s trade team recently joined representatives from Georgia’s business and economic development community in Mobile, Alabama to celebrate and reinforce the longstanding economic relationship between the southeastern U.S. and Canada. Formed in 2007, the Southeastern United States – Canadian Provinces alliance represents a strategic partnership between six southeast U.S. states and six eastern Canadian provinces whose purpose is to enhance trade and economic ties and encourage technological collaboration between the two regions. This year’s conference theme “Moving forward together” reflects the SEUS-CP mission to develop common strategic goals and open the door for trade between the member provinces and states. The SEUS-CP conference included a robust business-to-business matchmaking program to encourage trade and business development between the member regions. A total of 614 B2B meetings took place over the course of the event with seven Georgia companies and economic development organizations engaging in meetings.